Q: You are known for the invention of Interactive Investing®, and the remarkable results that it has produced. Can you explain what it is and how it benefits investors? A: The investing process is a very simple one. It involves only three steps. First, you must gather information. Second, you must analyze that information and come to a conclusion. Third, you must take action. Information is the most important part of the process because, without good information, even the best analysis, is worthless. If you understand that information is the most important component of the investment process, then it makes sense to get the best information possible about your investments. The best information comes from the experts in any given field. Therefore, the most intelligent way to invest is to bring together a money manager, who has investment expertise, with investors, who are industry experts, and have a technical understanding of the products they use. This is what Interactive Investing(r) does. Simply put, Interactive Investing(r) is the strategy in which a money manager uses the expertise of his clients to help confirm promising investments. The reason that this is so effective is that it is a marked improvement in the way critically important information is obtained. Q: Over the last five years, your group has averaged over 50% per year on a compounded basis. Yet you have achieved these results with a below-market beta, low R-squared and high alpha How did you do this? A: We pride ourselves on the specialized research we perform. The information that we get from our research enables us to take positions in very few companies. For us, the goal has been to invest in the highest quality healthcare and technology companies with the best managements at reasonable prices. We have also sought to have our performance closely correlated to the operating performance of the companies we own, and to have no correlation to the market in general. There are several ways to measure this correlation. One measurement is beta. Beta compares the volatility of an investment to that of the market. Our beta for the last five years has been .60. This means that there is little correlation between our portfolio and general market movements. Another measurement that is commonly used is R-squared. R-squared describes the amount of performance a portfolio owes to general market movements. Our R-squared is 2.16%, which means that over the past five years about 2% of our performance is attributable to the bull market that we have had. The other 98% is due to our portfolio's performance. Alpha indicates the amount of value a portfolio management team adds. Our alpha is 47%. This means that we have added a tremendous amount of value for our clients over the last five years. In short, the fact that we have very little correlation to the market, while averaging over 50% per year, is a testament to our strategy. Q: In all of the information I have read about your group, you have been complimented for your ability to reduce risk by specializing in healthcare and technology. How can specializing reduce risk? A: Knowledge is the most effective way to reduce risk. Specialization increases knowledge. Therefore, specialization reduces risk. That is the short answer. But to really understand how specialization can reduce risk, ask yourself the following question, "If I need eye surgery, do I think it would be safer to have a general practitioner, general surgeon or eye surgeon perform the procedure?" We believe that anyone faced with this choice would intuitively understand that the eye surgeon is the safest choice because he has the most specialized knowledge. In other words, it is by knowing more about what he is doing that the eye surgeon dramatically reduces the risk to his patient. The same concept holds true for investing. Our investment strategy is less risky because we have such a high degree of specialization. In the same way that the eye surgeon is more likely to successfully perform eye surgery, we are much more likely to be successful when investing in healthcare and technology, because we specialize in those growth areas. Q: Compared to most managers you have a relatively small number of positions in your portfolio. You state that this is also done to decrease risk. I would think that just the opposite is true. A: It may increase the volatility, but not the risk. This is a very important distinction. There is a great misconception about risk in the investment community. Most people equate risk to volatility, yet risk is not volatility. Risk is the possibility of loss. This is one of the most important concepts that investors need to understand. Only at times when volatility represents the possibility of loss, should it be a concern to long-term investors. Our objective is not to reduce volatility. It is to reduce the possibility of loss, which is what should really concern investors. This is why we own 8-12 companies. We feel our concentrated portfolios are less risky because, by owning a relatively small group of high-quality companies, we are able to understand these companies in depth, and follow them more closely than investors who are invested in 50-100 companies. Recall, the more one knows about what they are doing, the more they reduce the risk of making an error. Everyone is familiar with the pitfalls of trying to do too much and the mistakes that result, but for some reason people seem to think that this concept does not apply to investing. Q: So how do you reduce risk? A: Understanding risk is the most important job for any investor, and we have spent years understanding risk and how to control it. There are four ways to reduce risk. Most investors do not even realize this and consequently, use only one or two of the four methods. We use all four. The first method is diversification, and it also happens to be the least effective. Do not get me wrong, diversification works, it reduces risk, and it must be an integral part of any well managed portfolio. But what goes hand in hand with the decrease in risk is a decrease in your expected returns. This is why most people think that in order to increase returns, they must increase their risk. This is true only if they are using diversification as their risk reduction method. You may ask, "If diversification is the worst method of risk reduction, why is it so widely used?" The reason is that diversification is the easiest method to implement. Since people like what is easy, and since it also works well enough, diversification has become the false god of risk reduction. The second method is hedging, and it is a little better. The reason it is better, is that, if done correctly, it can dramatically reduce risk, with only a very small reduction in expected returns. The third method of risk reduction is matching investment time horizon with the maturity of the investment. Time alone can increase or decrease risk, but if an investor properly aligns his investment time horizon with that of his investments, he can reduce risk without reducing his expected returns. The best way to explain this is with an analogy. Two investors both invest in the same 10-year bond. One has a 10-year investment horizon, and the other has a 2-year investment horizon. Both have the same expected returns, yet the investor with a 10-year horizon has only one risk, the risk of default. The investor with a 2-year horizon has the risk of volatility as well as the risk of default. Most investors overlook the fact that while stocks do not have a maturity date, businesses mature, and a management team's business plan matures. If you invest in a company and your investment horizon is shorter than the investment in that company warrants, you are incurring a volatility risk that is not necessary. Almost every individual investor I have ever spoken with makes this error because they are unaware of this risk reduction method. The last, and best risk reduction method, is knowledge. Knowledge is not only power, it is the great risk reducer. Knowledge moves you closer to certainty, and certainty means no risk and can also actually increase expected returns. One of the best rules of thumb that investors should adhere to is, "One should only diversify to the degree to which they lack certainty." Meaning investors who do not want to do their homework are best served by broad diversification, while those who do intensive research are best served by concentration. Q: Can you tell me about your investment process? A: Ours is a multi-step process, combining top-down and bottom-up approaches. Since we are only interested in growth, the first step in our process is to identify long-term growth trends within the fastest growing sectors of the U.S. economy. This is another way of saying, "If you are trying to catch trout, fish in the stream with the most trout, and do not waste time fishing in the streams with just a few trout." Applied to investing, it means stick to industries with the highest and most predictable long-term growth rates and avoid the industries with low or unpredictable long-term growth rates. By investing exclusively in industries with the highest long-term growth rates, an investor can expect to own companies that have a greater chance of success (lower risk) and have exceptional growth prospects. Additionally, when an investor identifies the best companies within these industries, returns will be further improved - while simultaneously reducing risk. Once we have found industries with long-term sustainable growth rates, our objective is to then understand a company nearly as well as its CEO. Sometimes, after having met with all of their competitors, we may understand the position the company holds within their industry better than they do. We then perform balance sheet and income statement analyses on the companies we are interested in owning and their competitors. While we look at a company's earnings (see chart below), return on equity and gross revenues, our main focus is on free cash flow. The reason for this is that we have seen hundreds of cases where companies with significant free cash flow have had the ability to withstand lean years. By owning such strong companies, we can significantly decrease our risk. The fundamental analysis we perform is a prelude to visiting management. We often meet with management several times to get to know the people behind the numbers. When we visit a company, we are acting on behalf of our clients. They expect us to understand management's business model and to ask the tough questions, just as they asked us before they became our clients. The next stage, which is the hallmark of our approach, is combining our fundamental research with the healthcare and technology related expertise of our clients. Once we have completed our financial analysis of a company and its competitors, we may then turn to our clients. They are primarily healthcare and technology professionals who provide us with their expert views on the emerging technologies, sophisticated medical devices or new drugs that a company is developing. Due to our client's hands-on experience with these technologies, they are often able to provide us with their invaluable insights. Finally, we look for an event that will heighten investor interest in the particular company. Such catalytic events might be the launching of a new product, changes in management or a corporate restructuring. This event-led emphasis has enabled our group to outperform the S&P 500 with little or no correlation to the market. Q: Why do you focus primarily on healthcare and technology? Q: You have mentioned that your group is interested in emerging technologies. Does that mean that you mostly focus on small-cap companies? A: We do not favor a particular capitalization size. What we do favor are companies that are under-researched by Wall Street, because these companies have a tendency to be undervalued. When we find areas that Wall Street analysts are not covering, we are very interested in performing in-depth research and finding out which companies within those areas represent value. This may lead us to look for and find companies in the small- to mid-cap range of the market. Q: What sources do you use for your research? A: We start out by speaking with industry consultants and our clients to identify long-term secular trends. The industry consultants compile excellent market research and analysis. On the other hand, our clients provide us with valuable hands-on information. Their feedback affords us a powerful second opinion on the viability of a company's products. Both sources furnish us with unbiased information, which helps us to pinpoint those industries and companies which offer the greatest potential for long-term growth before the rest of the investment community takes notice. After we have developed an understanding of the big picture, we will then use those Wall Street analysts who most thoroughly understand their industry group, and who we trust to give us the facts. This shortens our learning curve on a particular industry, and helps us cull our working research universe from 350 companies down to a more manageable 30-40. From these, we further refine the list to 10-12 companies. Next, we get on a plane and visit these 10-12 companies and their competitors. Our objective in visiting with the management of these companies is to understand their: business model, internal risk controls, information systems, R&D initiatives and business ethics. From this information, we develop an overall assessment as to whether or not we want to be in business with this management team. While visiting these companies, we also meet with their suppliers, a cross section of their customers, and other investors who once owned the stock and who we trust. Finally, as we mentioned earlier, we go back to our clients to get their feedback about the company's products. Q: When is it time to sell a company? A: We may sell a company when there are changes in management or when management changes their business model to a model that we do not understand. In other words, if we cease to understand the company's business model, we will not own that company. Alternatively, if a company becomes overhyped and consequently overvalued, we will strongly consider selling it. If a company with less risk in the operation and execution of its business plan and with better potential is identified, we will sell a poorer performing company and will replace it with a better performing company. Finally, if we invest in a company due to a specific economic event, we will sell that company after that event has taken place. This process ensures that we only own what we believe to be the safest companies with superior risk/reward ratios. Q: What influences led you to your current investment approach? A: There are four investment professionals who have played a significant role in shaping my approach to investing. Two investors who stand out most in my mind are Philip Fisher and Warren Buffett. However, Benjamin Graham and David Dodd's philosophies also helped form my fundamental approach to valuing assets. Philip Fisher reinforced my views on the importance of obtaining an informational advantage before investing. He also confirmed my belief that management above all else is the most important factor affecting the value of a company over time. Warren Buffett convinced me that I should first understand the big picture, which means long-term trends, before looking behind a company's reported numbers to focus on the free cash flow it generates. These influences have convinced me that the true investor must concentrate on the amount of free cash flow a company can generate and on owning companies, which create value and protect that value by developing a unique franchise. Q: Tell me about the Abernathy Group. A: The Abernathy Group was formed in 1989. Since then, we have built a group of well over 100 clients with an impressive array of healthcare and technology expertise. In addition to that, we have grown our staff from 4 to 11. Our combined investment experience is over 75 years. Most importantly, Interactive Investingr groups are much like the Internet. Each new client makes it easier for us to invest successfully because each new investor brings valuable information to the group. Most money managers' ability to perform decreases as their number of clients increases, because more money is harder to invest. This is not the case with our group. We invest in healthcare and technology companies for healthcare professionals, technology professionals and other qualified investors. Our objective is to produce superior returns over the long term for both conservatively and aggressively managed money. We offer three investment strategies - Aggressive Growth, Moderate Growth and Conservative Growth - for pension and endowment funds and wealthy individuals and their families. Our group now manages $110 million for tax-exempt and taxable investors. Q: If I am an investor with substantial means, what proportion of my funds should be invested using your investment strategy? A: If you are the kind of investor who gets nervous about day-to-day market volatility or are interested in market timing, then our strategy would be incompatible with your investment needs. However, if you are an investor who strongly believes that information reduces risk, who has an investment time horizon which is five years or more and is interested in significant growth, then you should have a considerable amount of your assets invested in this strategy. Steven Abernathy is the founder, principal and chairman of The Abernathy Group. 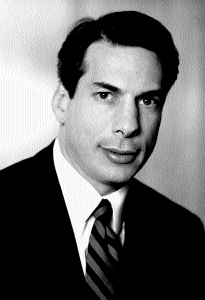 Prior to founding the Firm, Mr. Abernathy joined Cowen & Co. in 1989 as a special limited partner and director of its Executive Services division. He earned a reputation as unique professional investor who applied the art of value investing to the medical and information technology sectors of the market. While at Cowen, Mr. Abernathy developed the Collaborative Investing process®, a nationwide network of medical and information technology investors who pool their expertise in order to identify companies with superior products, technologies and management teams. This concept is the foundation of The Abernathy Group’s investment philosophy. Mr. Abernathy attended Fordham University in New York, earning a Bachelor of Science Degree in Biology in 1979. MMR: Tell me about The Abernathy Group. A: The Abernathy Group was formed in 1990. Since then, we have built a group of more than 100 clients with an impressive array of healthcare and technology expertise. In addition to that, our combined investment management experience totals more than 75 years. Most importantly, our Collaborative Investing® concept has proven to be successful time and time again for more than a decade. Because we only accept information technology and healthcare professionals as clients, each new client that joins our investment partnership brings valuable information to the group, making it easier for us to make intelligent investment decisions. Our objective is to provide superior returns over the long-term for both conservatively and aggressively managed money. We offer three investment strategies – Aggressive, Moderately Aggressive and Conservative Growth for high net worth individuals who are experts in the healthcare and information technology sectors and their families. MMR: You are known for your Collaborative Investing® philosophy of money management. Can you explain how it works and how it benefits investors? A: The investing process involves three main steps. First, you must gather information. Second, you must analyze that information and come to a conclusion. Third, you must take action. Information is the most important part of the process because without good information, even the best analysis is worthless. If you understand that information is the most important step of the investment process, then it makes sense to get the most accurate information possible about your investments. The best information comes from the experts in any given field. Therefore, the most intelligent way to invest is to bring together a money manager who has the investment and financial analysis expertise, with investors who are industry experts, and have a technical understanding of the products within their field. These experts should also invest alongside the investment management firm’s capital. This is the basis for Collaborative Investing®. Let me explain further, Collaborative Investing® is the concept of money managers utilizing the expertise of his or her clients to help confirm or uncover promising products which often leads to smart investments. It is effective because the clients invest alongside the money manager with their own assets and therefore, work hard to provide the best and most objective information possible. MMR: Over the past decade, The Abernathy Group has significantly outperformed related indices such as the S&P 500 and other money management firms. How has the firm been able to garner these types of results? Abernathy: We pride ourselves on the specialized research we perform. The information we get from our research enables us to concentrate our investments in about 20 companies that we know a lot about. For us, the goal has been to invest in the highest quality healthcare and technology companies with the best management at reasonable prices. We are pleased to have our performance closely correlated to the operating performance of the companies we own, and to have no correlation to the market in general. We are also very clear in our understanding of risk and volatility. We are not afraid of volatility. In fact, one of our core investment sectors (technology) is one of the most volatile sectors. However, because we have a strong ability to manage risk in any environment, we are able to mitigate risk and embrace volatility, while generating higher returns. A: Understanding risk is an important task that all investors must undertake, and we have spent years studying risk and developing strategies to control it. There are four ways to reduce risk. Most investors do not even realize this and consequently, use only one or two of the four methods. We use all four. The first method is diversification, which happens to be the least effective. Diversification can help reduce risk, and it should be a part of a well-managed portfolio, however a decrease in risk can also mean a decrease in expected returns. Many people believe that in order to increase returns, they must increase their risk but this is only true if they are using diversification as their core risk reduction method. You may ask, “If diversification is the least effective method of risk reduction, why is it so widely used?” The reason is that diversification is the easiest method to implement. Since people like what is easy, and since it also works to some degree, diversification has become the most widely used risk reduction strategy. The second method is hedging. It can be more effective than diversification when executed properly. If executed correctly, hedging can dramatically reduce risk with a minimal effect on expected returns. The third method of risk reduction is matching an investment’s time horizon with the maturity of the investment. Time alone can increase or decrease risk, but if an investor properly aligns his investment time horizon with that of his investments, he can reduce risk without reducing his expected returns. The best way to explain this is with an analogy. Two investors both invest in the same 10-year bond. One has a 10-year investment horizon, and the other has a two-year investment horizon. Both have the same expected returns, yet the investor with a 10-year horizon has only one risk, the risk of default. The investor with a 2-year horizon has the risk of volatility as well as the risk of default. Because the investor must sell the bond before it matures and must take the market price at that time. Most investors overlook the fact that while stocks do not have a maturity date, businesses mature and a management team’s business plan matures. If you invest in a company and your investment horizon is shorter than the company’s business plan warrants, you are incurring a volatility risk that is not necessary. Almost every individual investor that I have spoken with makes this error because they are unaware of this risk reduction method. The best risk reduction method is knowledge. Knowledge is not only power, it is the most effective risk reducer. Knowledge moves you closer to certainty. Certainty means no risk. The best rule of thumb that investors should adhere to is, “One should only diversify to the degree to which they lack certainty.” Meaning, investors who do not do their homework are best served by broad diversification, while those who conduct intensive research are best served by concentrating their investments in those companies they truly understand. MMR: In all of the information that I have read about your firm, you have been complimented on your ability to reduce risk by specializing in healthcare and technology. How can specializing reduce risk? Abernathy: In short, knowledge is the most effective way to reduce risk. Specialization increases one’s ability to obtain and maintain knowledge. Therefore, specialization reduces risk. To understand this concept more clearly, ask yourself the following question, “If I need eye surgery, do I think it would be safer to have a general practitioner, general surgeon or eye surgeon perform the procedure?” We believe that anyone faced with this choice would intuitively understand that the eye surgeon is the safest choice because he has the most specialized knowledge. By knowing more about what he is doing, the eye surgeon dramatically reduces the risk to his patient. The same concept holds true for investing. Our investment strategy is less risky because we have such a high degree of specialization. In the same way that the eye surgeon is more likely to successfully perform the eye surgery, we are much more likely to be successful when investing in healthcare and technology, because we specialize in those growth areas. MMR: Why do you focus primarily on medical and information technology? Abernathy: Despite normal, periodic, volatility, the medical and information technology sectors will experience more growth than any other sectors of the U.S. economy over the next 25 years. In fact, the U.S. continues to go through a dramatic change, many times greater than the Industrial Revolution. At that time, the industrialization of America greatly increased human productivity, and it is productivity that creates wealth. So those people who positioned themselves in the industries most effected by the Industrial Revolution, such as the Vanderbilts, Carnegies and Rockefellers created enormous wealth. The dramatic increase in productivity that information technology has generated is paving the way for greater wealth for investors who have the foresight to take advantage of these changes taking place in the new world. MMR: Can you tell me about your investment process? Abernathy: Ours is a multi-step process, combining top-down and bottom-up approaches. Since we are only interested in growth, the first step in our process is to identify long-term growth trends within the fastest growing sectors in the U.S. economy. We focus on industries with the highest and most predictable long-term growth rates and avoid industries with low or unpredictable long-term growth rates. By investing exclusively in industries with the highest long-term growth rates, we can expect to own companies that have a greater chance of success (lower risk) and exceptional growth prospects (higher returns). Additionally, we identify the best companies within these industries and invest in them based on a focused, long-term investment strategy that has resulted in superior returns for our investors. Once we have identified industries and the leading companies within them, our objective is to come to understand those companies and their management teams as deeply as possible. Sometimes, after having met with them and all of their competitors, we may understand the position the company holds within their industry better than they do. We perform balance sheet and income statement analysis on the companies that we are interested in owning, as well as analysis on their competitors. As we review a company’s earnings, return on equity and gross revenues, our main focus is on free cash flow. The reason for this is that we have seen hundreds of cases where companies with significant free cash flow have the ability to withstand lean years – an important factor in today’s tumultuous environment. The fundamental analysis we perform is a prelude to visiting management. We often meet with management several times to get to know the people behind the numbers. When we visit a company, we are acting on behalf of our investment partners. They expect us to understand management’s business model and ask the tough questions, just as they asked us before they became our partners. The next stage, which is the hallmark of our approach, is combining our fundamental research with the healthcare and technology-related expertise of our Collaborative Investing® Network. Once we have completed our financial analysis of a company and its competitors, we may then turn to our clients for their professional views regarding products produced by the target investment. We learn from them what emerging technologies, sophisticated medical devices or new drugs that a company is developing are notable – and what works in the marketplace and what doesn’t. Due to our clients’ hands-on experience with these technologies, they are able to provide us with invaluable insights. Finally, we look for an event that will heighten investment interest in a particular company. Such catalytic events might be the launching of a new product, changes in management or a corporate restructuring. This event-led emphasis enables our group to outperform the S&P 500 with little or no correlation to the market. MMR: When is it time to sell a company? Abernathy: We may sell a company when there are changes in management or when management changes their business model to one that does not make sense to us, or into something that does not fit within our areas of expertise. If we do not understand a company’s business model, we will cease to own that company. Also, if a company becomes overvalued, we will strongly consider selling it. If a company with less risk in the operation and execution of its business plan is identified and we believe that it has better potential than a current holding, we will replace the current holding with the better performing company. Finally, if we invest in a company due to a specific event, we will sell that company after the event has taken place. This process ensures that we only own companies that we believe to be the safest investments for our clients. MMR: What influences led to your current investment approach? Abernathy: There are four investment professionals who have played a significant role in my approach to investing. Two investors who stand out most in my mind are Phillip Fisher and Warren Buffett. However, Benjamin Graham and David Dodd’s philosophies also played a role in forming my approach to valuing assets. Phillip Fisher reinforced my views on the importance of obtaining an informational edge before investing. He also confirmed my belief that management, above all else, is the most important factor affecting the value of a company over time. Warren Buffett convinced me that I should first understand the big picture (long-term trends), before looking behind a company’s reported numbers, and to focus on the free cash flow that it generates, not reported earnings. These influences have convinced me that the true investor must concentrate on the amount of free cash flow a company can generate and only own companies that create value and protect that value by developing a unique franchise. MMR: What sources do you use for your research? Abernathy: We start out by speaking with industry consultants and our clients to identify long-term secular trends. The industry consultants compile excellent market research and analysis. Our investment partners also provide us with valuable hands-on information. This feedback affords us a powerful second opinion on the viability of a company’s products. This is important because objective information is the only way to really pinpoint the industries and companies that offer the greatest potential for long-term growth. After we have developed an understanding of the big picture, we will then work with select Wall Street analysts who most thoroughly understand their industry group, and who we trust to give us the facts. This shortens our learning curve on a particular industry, and helps us cull our working research universe from 350 companies down to a more manageable 30-40. From these, we further refine the list to 10-12 companies. Next, we get on a plane and visit these 10-12 companies and their competitors. Our objective in visiting with the management of these companies is to understand the following: business model, internal risk controls, information systems, R&D initiatives, business ethics and distribution and manufacturing models. From this information, we develop an overall assessment as to whether or not we want to be in business with this management team. While visiting these companies, we also meet with their suppliers, a cross section of their customers, and other investors who once owned the stock, whose opinions we trust. Finally, as we mentioned earlier, we go back to our clients to get their feedback about the company’s products. MMR: If I am investor with substantial means, what proportion of my funds should be invested using your investment strategy? Abernathy: If you are the kind of investor who gets nervous about day-to-day market volatility or are interested in market timing, then our strategy would be incompatible with your investment needs. However, if you are an investor who strongly believes that information reduces risk, who has an investment time horizon that is five years or more and you are interested in significant growth, then you should have a considerable amount of your assets invested in this strategy. MMR: Can you tell us about The Abernathy Group’s core investment disciplines? Abernathy: Sure. Our firm follows three basic investment disciplines: Aggressive, Moderately Aggressive and Conservative. All three disciplines are based on a long-term investment strategy, focused on maximizing returns while being tax efficient. Portfolio holdings are mainly comprised of public securities including common and preferred stock, convertible securities and bonds. The Aggressive investment discipline works to provide high returns to our clients. Within the Aggressive discipline, such tools as leverage, short selling, and hedging strategies are utilized. The 11-year track record of the Aggressive Appreciation Fund is an impressive 33.14% average annual return. The Moderately Aggressive investment discipline includes the same core holdings as the Aggressive, however the ratio of holdings differs. This discipline is slightly less aggressive and the tools utilized may include investments in stocks and bonds or short selling. We sometime use leverage used in the Moderately Aggressive discipline. The eight-year track record of the Preferred Performance Fund is an 18.03% average annual return. The Conservative discipline holds the same portfolio positions as the Aggressive and Moderately Aggressive investment disciplines, in different ratios. This discipline provides the lowest level of volatility of the three. On the whole, this discipline does not incorporate the use of leverage or short selling. The Conservative discipline maintains a portfolio consisting of approximately 65% equities and 35% cash and bonds. The 10-year track record of the Conservative Growth Fund is an 18.08% average annual return. MMR: What differentiates The Abernathy Group from other money management firms? Abernathy: There are several factors, but the main points of differentiation are our Collaborative Investing® philosophy, 11-year track record of strong performance and our close and open relationships with our clients.